Currently we offer purchase and delivery in Australia, NZ, UK & USA. When you visit the site, depending on what country you are in, only the products available in that country will display. We also have our products listed on the Amazon marketplaces in the following countries: UK, Germany, France, Spain & Italy. 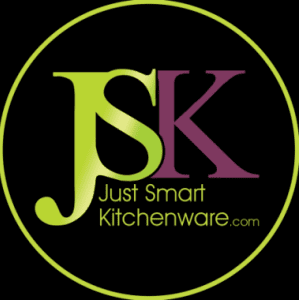 If you require express post options please contact us at hello[@]justsmartkitchenware[dot]com. ** Please ensure to enter your shipping address correctly as once it has been received and dispatched we cannot alter the address and you will be charged the standard applicable postage rate to resend. We strive to ship all products the same or next business day. If your order is placed on a public holiday it will be shipped on the next immediate business day. Shipping takes 4 – 8 business days from dispatch. At JSK, we love our products and we want you to love them too; if an item hasn’t met your expectations, you can send it back for free within 30 days of your purchase. We unfortunately do not offer returns or exchanges beyond this time period. To be eligible for a return or exchange your item must be unused and in the same condition as you received it with tags attached and in the original packaging. Please contact us via email first that way we can discuss the issue and work out the best solution. You can also email us with any questions you may have regarding your JSK product, it doesn’t have to relate directly to returns or exchanges. Returns and exchanges can be made via post with proof of purchase, preferably a copy of the original receipt, after initial contact with us. Please note, sale merchandise items purchased online cannot be returned. Also, we do not offer exchanges or refunds if there has been any damage to the product. If the product is discontinued or out of inventory, we will replace a new or comparable product and options will be provided for selections. If you wish to cancel an order placed please contact us explaining the reason for the cancellation and we will do our best to resolve your request. We cannot guarantee that all transactions can be cancelled in full due to shipping and processing charges.